Amy Horvey is a performer of creative music, an orchestral trumpeter, and a specialist in the Baroque trumpet. She regularly performs with the Montreal Symphony Orchestra and has appeared at many major festivals including the Montreal Baroque Festival, Festival of New Trumpet (FONT) Music, Lucerne Festival Academy, and Ottawa Chamber Music Festival. Horvey & Hensley perform a recreation of Barbara Strozzi’s Sino alla morte. Strozzi was an Italian singer and one of only a few women in the 17th century to publish their own compositions. 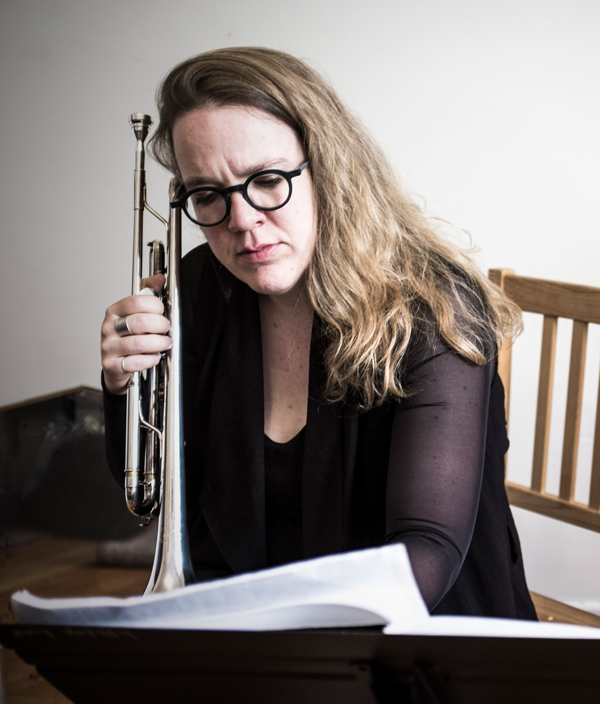 Horvey’s arrangement for modern trumpet pays homage to Strozzi and her endeavors to enrich the nascent repertoire of solo works for trumpet by women composers. Also on the program is Música invisible by Argentinian composer Cecilia Arditto. A musical representation of painting techniques from the works of Leonardo da Vinci, this piece uses quotes from the painter’s notebooks as well as from Italian opera in a sound tapestry both witty and mysterious. Anna Höstman’s Interview is, similarly, a musical portrait of Edna White an American classical and vaudeville trumpet player, bandleader, and composer. Höstman’s composition addresses her near-forgotten history as the leader of one of the first successful all-female bands, and the first trumpet player to give a recital at Carnegie Hall.